www.RecFacilitiesMP.org. Additionally, the next open house will be held Wednesday, May 25 from 11 a.m. to 1 p.m. at the Basin Recreation Fieldhouse, 1388 Center Dr. and from 5 p.m. to 7 p.m. at the PC MARC, 1200 Little Kate Rd. When the concepts for the Mountain Recreation Facilities Master Plan were first unveiled to the public, it was made clear that aquatics was one of the top two needs of the community. What was not clear, however, was what kind of aquatics, and where. Summer Sanders, an Olympic gold medalist swimmer (she won two golds, a silver and a bronze in Barcelona in 1992) attended Wednesday’s meeting of the Master Plan’s advisory committee with a clear goal in mind: to advocate for a 50-meter pool. "We are unique here in that we would be one of very few public, 50-meter, high-altitude training facilities," she said. "And that would generate a lot of revenue." Sanders sat in on the advisory committee meeting that featured a presentation from Greg Cannon, a project manager with Aquatic Design Group. A criticism that has been brought up several times at the Master Plan public meetings has been that an aquatics expert was not consulted on the concept designs. Cannon was brought in to offer his expertise. 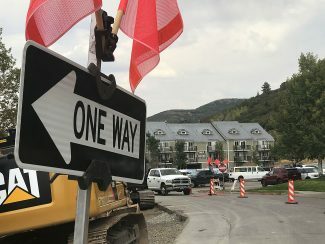 The option of expanding the Park City Schools Aquatic Center pool at Ecker Hill to 50 meters was brought up, and Cannon said in that case, selling it to the public as a high-altitude training facility would make sense. "People would come here to train in that low-oxygen environment," he said. "They are training for a meet, and they might stay in town for two or three months. That’s a situation where other parts of the country cannot offer that and you can draw people in. That makes it a destination athletic facility." 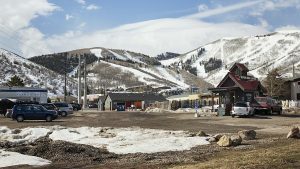 Sanders said as a former competitive swimmer herself and a mother of two young children who are getting into swimming themselves, she likes the idea of Park City setting itself apart not just as a winter sports destination but a summer one, as well. "Colleges and national teams pay big money to come to high-altitude training centers, and they stay for weeks," she said. "And they can train while the kids are in school, so we can maximize the use." Sanders also pointed out that just the 50-meter pool would not be enough if the goal is to be able to host high-level meets. "You need a place to warm up," she said. "Another pool where kids can warm up and warm down. Even if you have the 50-meter pool, if you don’t have that, you can’t hold meets." From a revenue generation perspective, Cannon said having a recreational element, even a small one, helps a great deal. Competition pools cost a lot to operate, he said, much of that from heating and cleaning the water itself. Recreational pools are cheaper to operate and they draw visitors more frequently that lap pools. There are compromises, though. 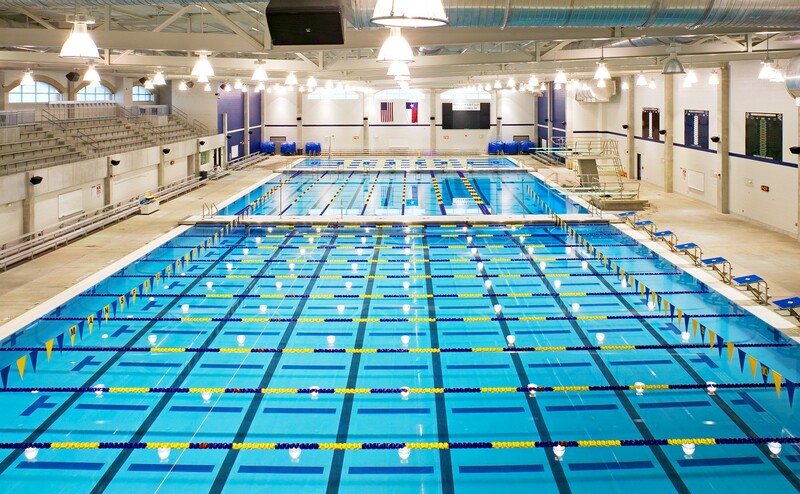 "We could put imbed anchors in the [50-meter] pool floor," he said. "We can bring in inflatable play structures, basically giant climb-on rafts in the middle of the pool, and anchor them to the floor so we can present some recreation opportunities." A committee member asked Cannon how new aquatics facilities would fit in with Park City’s net-zero energy efficiency goal. He said swimming pools are inherently inefficient but some things can be done to mitigate the problem. An example he gave is capturing exhaust air from an indoor facility, filtering out the chemicals and humidity, and using that heat to preheat the air coming in. Solar water heating could also be used to lessen the energy cost of keeping the pool warm. "There are a lot of strategies, but it has to be facility-wide to get close to net zero," he said. "It has to be weighed against your budget, too, because some of those strategies are expensive." 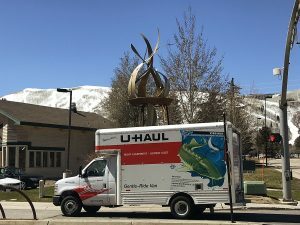 Cannon encouraged the community to weigh in with their thoughts, because there isn’t likely to be a one-stop solution for Park City’s aquatics needs. "One swimming pool for everybody to use is going to be the most difficult thing on the face of the Earth," he said. "And the community shoulders most of the burden here, because in the end it’s your pools, and you’re going to have to live with them." 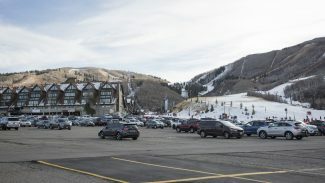 The public can weigh in with their thoughts on the Mountain Recreation Facilities Master Plan at http://www.RecFacilitiesMP.org. Additionally, the next open house will be held Wednesday, May 25 from 11 a.m. to 1 p.m. at the Basin Recreation Fieldhouse, 1388 Center Dr. and from 5 p.m. to 7 p.m. at the PC MARC, 1200 Little Kate Rd.